Civil rights activist, Atlanta community member, and classical music aficionado Azira Hill wondered why more African-American musicians weren’t auditioning for the Atlanta Symphony Orchestra. It wasn’t a lack of desire — she, her siblings, and her children played classical music with great joy — but rather a lack of education and opportunity. If blacks weren’t auditioning, she said in an interview, it was probably because they didn’t know how. And she resolved to teach them — and diversify the orchestra to better reflect the community it serves. So in 1993, Hill partnered with Mary Gramling and established the symphony orchestra’s Black Talent Development Program. They hoped the initiative would not only provide more opportunities for musicians of color but also increase audience participation and community engagement. Now known simply as the Talent Development Program, the initiative continues to provide high-quality training to dozens of African-American and Latino musicians. Students from grades 5 to 10 are invited to audition for 25 spots in the program, which includes weekly private lessons with a symphony orchestra musician, one-on-one mentoring, complimentary tickets to performances and recitals, assistance preparing for auditions, and opportunities for financial assistance and scholarships. Since its inception, the program has worked with nearly 100 students, who have gone on to secure scholarships to competitive music schools like Juilliard, Curtis Institute of Music, Manhattan School of Music, and the Peabody Institute. Many have become sought-after classical performers, composers, and teachers. “It’s been so, so rewarding. Other symphonies are asking questions about how we do it,” Hill told 11-ALIVE. To mark its 25th anniversary, the program hosted a concert earlier this month at Symphony Hall featuring several current students and illustrious alumni. 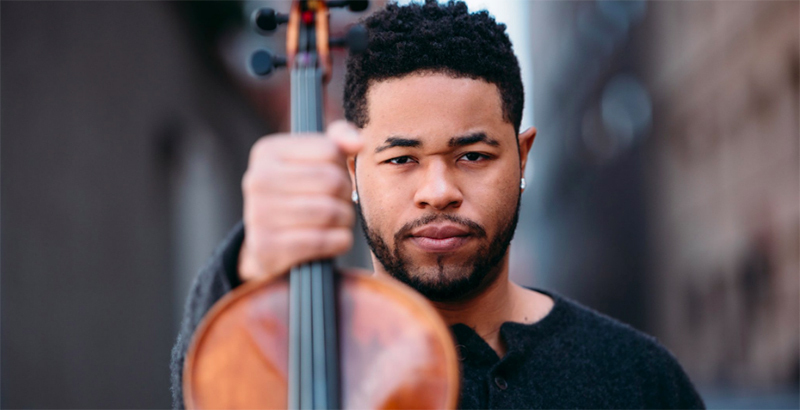 The featured soloist was cellist Khari Joyner, who five years ago performed for then-President Barack Obama. Another successful alumnus and ardent supporter of the program, Joshua Williams, explained in a video that when he plays the tuba, he feels “alive” and “like himself.” After graduating from the program, he received more than $1.6 million in scholarship offers. Last fall, he accepted a full-ride scholarship for Juilliard’s class of 2022. During the 25th anniversary concert, Hill beamed with pride. “What an amazing sight to see this program come full circle,” she told 11-ALIVE.